On the banks of Lake Pichola, hidden behind an intricate façade that stretches for 244 meters, lies the grand City Palace of Udaipur. Maharana Udai Singh II commenced its construction parallel to the establishment of Udaipur. Over time, several additions were made to this mammoth complex for four centuries. The City Palace has around 11 smaller palaces in its complex. One of the most attractive tourist destinations of Udaipur, it has stood as a testament of authentic traditions of Mewar. The City Palace was turned into a private museum in 1969, open for the public. 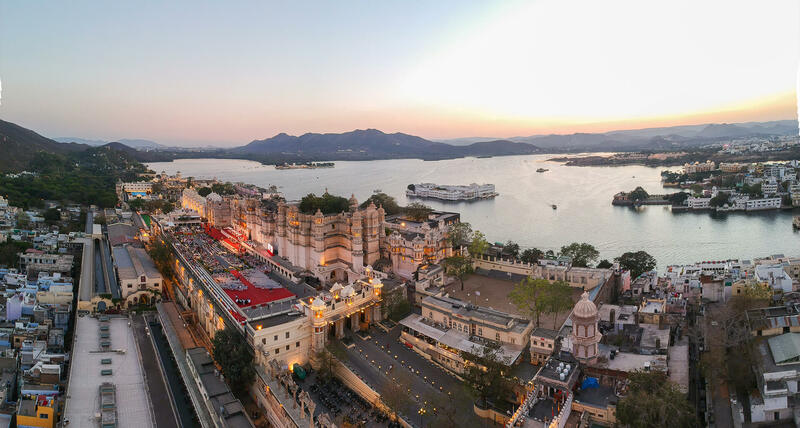 The inception of the City Palace was concurrent to the making of Udaipur as Maharana Udai Singh II decided to shift the capital city of Mewar due to constant attacks from the Mughals and rulers of Malwa and Gujarat. On a hunting expedition, Maharana noticed smoke coming from a nearby hill. With his whole cavalcade, the Maharana climbed the hill where he met Goswami Prem Giriji Maharaj. The Goswami advised Maharana Udai Singh II to build his new capital for Mewar at that place. The Maharana promptly took his advice and thus, began the making of one of the most beautiful city in the country and the majestic City Palace. The Palace has many gateways, its main entrance being the Badi Pol or the Great Gate. It also has a triple-arched gate known as the Tripoliya. As you walk through the Tripoliya, you will find yourself in a beautiful Manek Chowk. This huge courtyard was used for public meetings, elephant parades, processions and cavalry to pass. 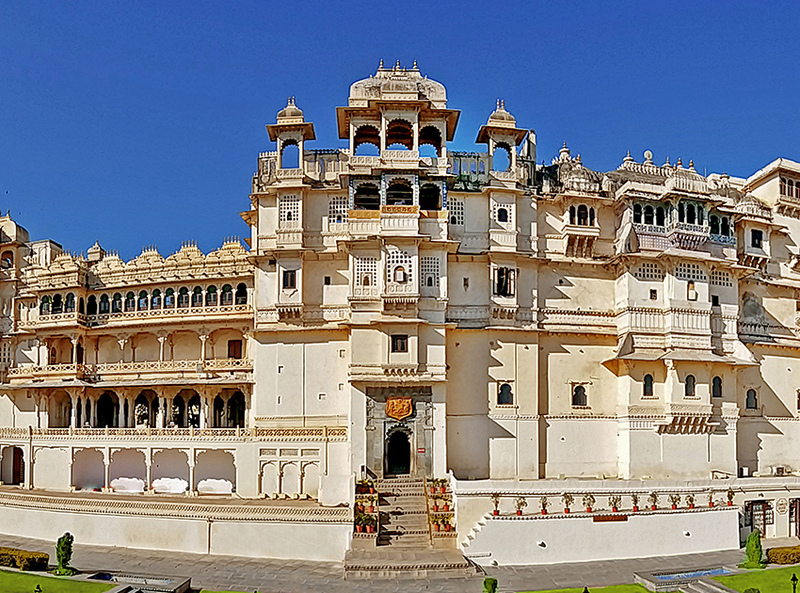 Walking through the corridors of the City Palace, you will realize this massive palace is like a maze, where each gate leads you into a world full of Mewar culture. The museum features a lot of art galleries that portray the rich heritage of Mewar. Amongst the many galleries, the Crystal Gallery in Fateh Prakash Palace is a must visit. It has the largest private collection of crystal items in the world. The Durbar Hall is yet another awe-inspiring structure in the City Palace Complex. One can also take a boat ride to the Jagmandir Island Palace, a floating palace on Lake Pichola, from the jetty or promenade. The City Palace has stood strong for over 400 years now, radiating positivity and influencing people through its rich cultural heritage. It teaches age-old values of valour, courage and bravery that the Maharanas of Mewar instilled in every stone of the structure. The solid foundations of the City Palace represent the firm belief of the people in their culture. It continues to inspire people by being a living example of true Mewar heritage.